Q: Can you send calls to a cell phone? A: Yes we are able to send calls to your cell phone, even if you have a prepaid phone. Q: I have a cell phone with a local number to the prison and my inmate was still charged long distance rates. How does PrisonCallsOnline guarantee local calling rates with the Bureau of Prisons? A: The Bureau of Prisons has very strict rules governing what is a local call and what is not. Having the same area code will not guarantee that you will be charged the local rates. We verify each number to ensure that our lines are charged local rates to each prison. Q: Do I need to know where my inmate is located before I sign up? A: Yes, in order for PrisonCallsOnline to give you discounted calls, we need to know where the inmate is located. Q: I live overseas can PrisonCallsOnline help me? A: Yes, we are able to send calls anywhere in the world. Take a look at our plans and compare the cost to what your paying now and you will be able to see the savings right away. Q: Is there a contract to use PrisonCallsOnline? A: No, there is no contract you can cancel at any time. Q: Can you send calls to blocked numbers? A: Yes, with PrisonCallsOnline you will be able to receive calls on your blocked number. Q: What if I’m not at home or at my cell phone, does your service offer a way for me to send the calls to another phone? A: Yes, we can send the calls up to 3 numbers at one time. The way this works is that we will send the call to phone 1, and if no answers then we send the call to phone 2, and if no answer then we send the call to phone 3. Q: What if I wanted to send the calls to his grandmother’s house on Sundays, am I able to do that? A: Yes, our service utilizes what we call time-of-day routing. This gives our customers the ability to send the calls to a certain number on a specific day each week automatically or you can also set up to where it will call a certain number during a specific time period on any given day. Q: Does your phone service violate the prison’s rules? A: No, the call will go through the prison phone system with all its security features. You will still hear those annoying messages and the guards can still listen in or record the conversations. Your inmate is still subject to the same telephone rules that they were before. Q: My inmate has a phone list; will I have to put your number on the phone list? A: Yes, if the facility requires the inmates to put their numbers on a phone list then you need to make sure a new number can be added to their list before you sign up. Q: How can I add money to my account? A: You will be able to add funds to your account online (either thru PayPal or our credit card processor), you can call into our office and we can add funds to your account, you could also send in a money gram or a money order. Q: We are a legal clinic and deal with several inmates in the same facility; can all the inmates use the same number? A: Yes, your PrisonCallsOnline number is not inmate-specific but it is specific to you and the facility. So if you have several clients in the same facility, they can all use the same phone number assigned to you. Q: Do I have to pay the monthly fee even if the inmate doesn’t call me for that month? A: Yes, but we will only charge you $8 for the number as long as you did not use any of the minutes. You will need to call into our office so that we can issue a credit toward your account. Q: What happens if my home phone or cell phone number changes, will I have to set up a new account? A: No, you can call into our office and talk to one of our customer service representatives and we will be able to change the ring location or you can login to your account and update the ring to number 24/7 without changing the number that your loved one calls. Q: Can PrisonCallsOnline save me money on calls from a county jail? A: Yes, if you live more than 10 miles from the county jail. If you live within 10 miles of the county jail then we will not be able to save you money on your jail calls. You can call into the office and we can check and see if we are able to get you a discount on your jail calls. Q: Will PrisonCallsOnline save me money on calls from a state prison? A: It will depend on how far you live from the prison and what state the prison is in. The further you live from the prison the more we can save you. Average savings is 25%-80%. 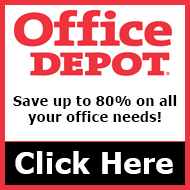 If you call into the office we will explain the saving and also make sure our service is the best option for you. If we are unable to save you money on your jail calls then we will not sign you up for our service. 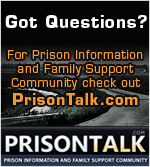 Q: With PrisonCallsOnline do I still have to go through the carrier in the prison? A: Yes, you will still have to go through the prison phone provider (GTL, CBS, PCS, Securus Tech, Offender Connect, City-Tel, Paytel, ITI, T-Netix, etc.). They will require that you set up a prepaid account with them in order to get the calls, but with our local number you will be charged their lowest rate for the jail calls instead of their very expensive long distance rates. Q: Will PrisonCallsOnline work at a federal prison? A: Yes, you will give the inmate the number provided by PrisonCallsOnline when the inmate calls the OCS local number the inmate’s phone account will be charged $0.06 cents per min or $0.90 cents for a 15 minute call instead of $0.23 cents per min or $3.45 for the 15 minute call. So the inmate will save $2.55 per call in their prison phone account. A: Yes, you can receive a $5.00 one-time credit for each person you refer to us. Once the person has paid, your account will be credited $5.00 on your PrisonCallsOnline account. You can receive an unlimited number of credits, the credit are a service credit only and have no cash value and will not be refunded if you cancel service.